"When we moved to Long Island from New York City, we knew we would not find a dance school for our children equal in quality to programs in Manhattan. American Theater Dance Workshop, owned by the extraordinarily talented and committed Michelle and Jerome Vivona, has proven us wrong.Our 18 year old has studied at ATDW for 10 years, attending classes up to 10 hours per week. In ballet, pointe, theater dance, musical theater, tap, lyrical, and as a member of the Theater Dance Repertory Company, she has been nurtured, inspired, encouraged, pushed, motivated, and trained at the highest level by devoted teachers including the Artistic Director of the NOMAD contemporary ballet company, past and current Broadway performers and dance captains, and soloists from The New York City Ballet. Our 11 year old is quickly following in her sister's footsteps, developing her own passion for dance. The Vivonas, with their high expectations and spectacular experience and connections, stop at nothing to bring the best to their students. We are eternally grateful to this school for not only providing the best training for our daughters technically and artistically, but for giving them enjoyment, pride and self-confidence. The Vivonas take a personal interest in each student’s growth. The students are supportive of each other and develop deep friendships.Our daughter, who is committed to st"
"I spent majority of my years training in dance at ATDW. I switched to the studio when I was in 6th grade, and stayed there until I graduated High School. It was a perfect match for me, because I received the specific Theater Dance training I wanted, since I was heavily involved in musicals, and the Ballet training I needed to be a seamless dancer in multiple genres. I walked into college prepared and eager, and as a freshman was able to start in Int/Adv classes. 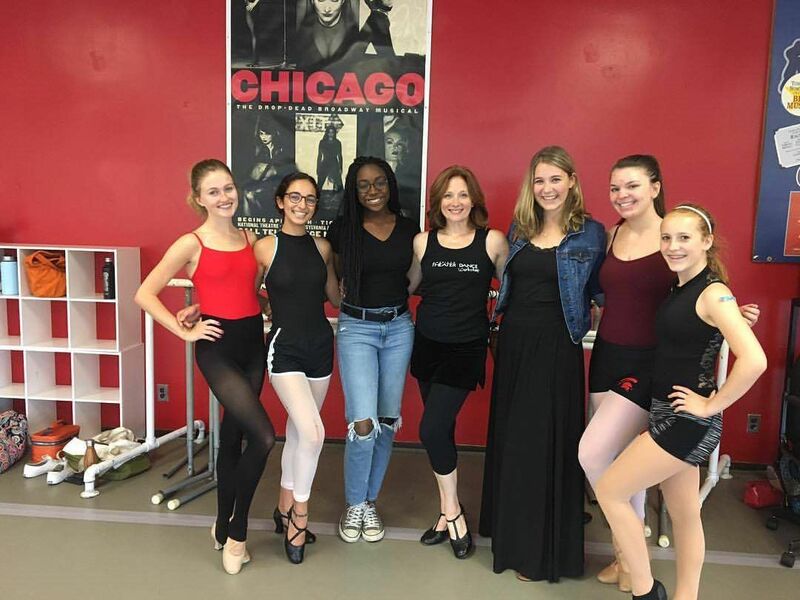 I valued each of my classes at ATDW; Ballet, Tap, Theater Dance, Musical Theater, Pointe, Repertory Company, and Modern helped prepare me to be the performer I am today, and the teacher I am developing into! This school will always hold a special place in my heart!" "We are so lucky to have such a professional studio in Herricks. The calibre of teachers and staff continues to be impressive and what other studio provides live piano for their ballet class? I have been an adult dancer for many years now and ATDW has brought me a long way. With the new, fresh energy the Vivona’s have brought, I look forward to many more years." "ATDW is THE STUDIO on Long Island for OUTSTANDING and PROFESSIONAL DANCE TRAINING. We have been part of the ATDW family for 12 years and both of my daughters are BEAUTIFUL dancers with EXCEPTIONAL technique and stage presence. My oldest daughter is now performing professionally and ATDW gave her the training she needed to continue her studies in college and launch her career. We are forever grateful for ATDW." "We've found that other local dance schools place too much attention on the final performance, and teach for the show, rather than focusing on technique. We found the opposite to be true for ATDW"
"As a theater supervisor, I have had the opportunity to work with a considerable number of dance schools. As far as the work is concerned none can compare with ATDWS. Their teachers are the consummate professionals: demanding but kind, enthusiastic, and generous with their talents. From a technical perspective, ATDW’s end of the year performance is more of a complete production than simply a recital. They provide the dancers with an unbelievably professional experience. When it came time to enroll my own daughter in dance classes, there was really no decision to be made. Throughout her time at ATDW'S, she has not only learned technique but has grown in self-discipline and confidence. She has absolutely loved her teachers and her time there." "I studied here throughout high school and was amazed by the dedication of the staff. They genuinely care about ALL students while offering arguably the best dance education on Long Island." "Great reviews from past students"
"The staff was very helpful with any questions I had. Gave me many opportunities to try out the classes until my daughter and myself were able to make a final decision." "Your school came highly recommended by a choreographer that my daughter worked with. We were looking for a school that specifically taught theater dance and not looking for a ""typical"" dance school. We love the theater experience that most of your teachers have. We love how informative your website is. Your school is a breath of fresh air, compared to other dance schools we have been to. For us, it's worth the 40 minute trip from home to your school." "Our dance school recently closed. It was very small. Your school is big and exciting. My daughter really liked the studio, the variety of teachers, and the tutorials you gave on voice and auditioning. It also was challenging for her and she liked the music you used. Not to mention, she enjoyed meeting the famous dancers. Thank you!!!!" "I look forward to attending the Adult tap class taught by Michelle each week! She is not only a fabulous performer, but an excellent teacher! I feel that I've personally improved my tap dancing due to her wonderful teaching ability. She takes time to explain and break down steps, giving very helpful hints to help get the steps right. She begins with routines that myself & the class are familiar with and then adds more challenging steps. I love learning in the creative & fun kind of atmosphere of her classes. She's one of the best tap teachers I've ever studied with." "I was a student at ATDW as a child/teenager so I have already recommended this company to friends and family in town. I feel very lucky to be a part of the ATDW community again"
"This school is wonderful. Professional and helpful staff, fun and exciting classes. Love the fact that they don't have to wear ridiculous over the top sequined/feathered neon colored costumes!! This is a great school and the potential for future success seems to be legitimate." "Very professional classes. Very high level teachers. Excellent floors."